Ha Jin is a National Book Award-winning novelist and a professor at Boston University. Born in China and a veteran of the People's Liberation Army, Jin's fascinating upbringing makes him a captivating speaker on China's past and present. Ha Jin is an award-winning, internationally bestselling author of six novels and numerous collections of short stories and poetry. Born in mainland China, Ha Jin grew up in a small rural town in Liaoning Province. From age fourteen to nineteen he volunteered to serve in the People’s Liberation Army, serving on the northeastern border between China and the former Soviet Union. He began teaching himself middle and high school courses in his third year in the army. In 1977 he was able to attend college, and went to Heilongjiang University in Harbin. He received a B.A. in English in 1981. He then studied American literature at Shandong University, where he received an M.A. in 1984. The following year he came to the United States for graduate studies at Brandeis University, from which he earned a Ph.D. in English in 1993. In the meantime, he studied fiction writing at Boston University with the novelists Leslie Epstein and Aharon Appelfeld. After the Tiananmen massacre (1989), he realized it would be impossible to write honestly in China, so he decided to remain in the U.S. Unlike most exiled writers already established in their native language, Ha Jin had no audience in Chinese, and so chose to write in English. To him, this meant much labor, some despair, but also, freedom. Currently he is a professor of English at Boston University. He has published two volumes of poetry and three books of short fiction, Ocean of Words, which received the PEN Hemingway Award, Under the Red Flag, and The Bridegroom. His short stories have been included in The Best American Short Stories (1997 and 1999), three Pushcart Prize anthologies, and the Norton Introduction to Fiction and the Norton Introduction to Literature, among other anthologies. Waiting, Ha Jin’s first full-length novel, was an international bestseller and winner of the 1999 National Book Award for Fiction and the 2000 PEN/Faulkner Award for Fiction, and a finalist for the Los Angeles Times Book Award for fiction. His fourth novel, War Trash, set during the Korean War, won the PEN/Faulkner Award for Fiction (2005). Ha Jin’s story collections, too, have won notable prizes, with Under the Red Flag awarded the Flannery O’Connor Award for Short Fiction and Ocean of Words the PEN/Hemingway Award. His latest novel, The Boat Rocker, is the timely and darkly funny story of an aspiring author, an outrageous book idea, and a lone journalist’s quest for truth in the Internet age. 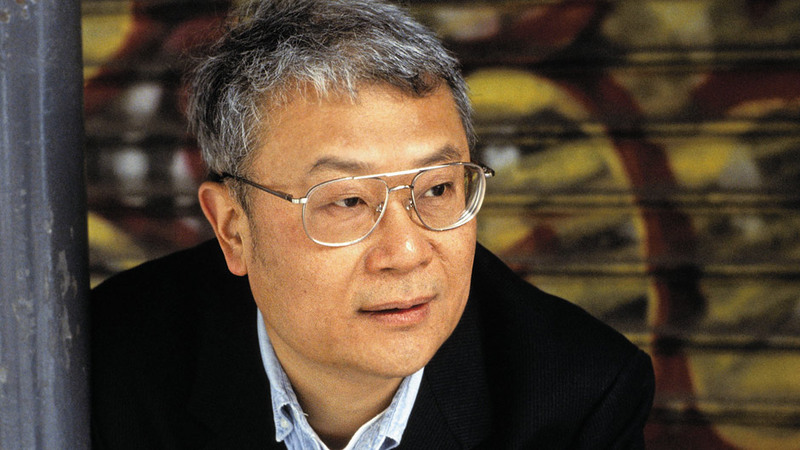 Since emigrating from his native China, Jin has earned considerable renown for his poetry, stories, and novels (Waiting won the National Book Award in 1999). But he’s never been known as a barrel of laughs. What makes his latest so refreshing is that it’s laugh-out-loud funny while being as illuminating as ever. Ha Jin’s prose is always pleasurable to read. . . . In his latest novel, Ha Jin takes aim at exploitative novels and international relations as he tells the story of Feng Danlin, a Chinese expatriate journalist living in New York and working for an independent, and influential, Chinese news agency. The year is 2005, and when word comes in that Danlin’s ex-wife, Yan Haili, has written a novel touted by the Chinese government as an instant worldwide bestseller, he pens several exposés concerning the book, challenging everything from the novel’s lackluster style and use of a 9/11 backdrop to Haili’s claims that she has signed a million-dollar-plus deal to adapt her tale into a Hollywood film. It isn’t long before Danlin’s articles gain traction and are reprinted throughout China. He finds himself celebrated by readers, but also the target of a series of verbal and written attacks by Haili and her entourage, and his boat rocking leaves many wondering if, by exposing Haili as a liar and the Chinese government as nefarious, Danlin may also be damaging potential Chinese/American interactions.